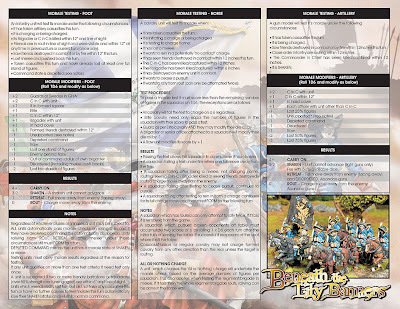 The first edition of Beneath the Lily Banners has long been out of print, but it is still for sale as a PDF. 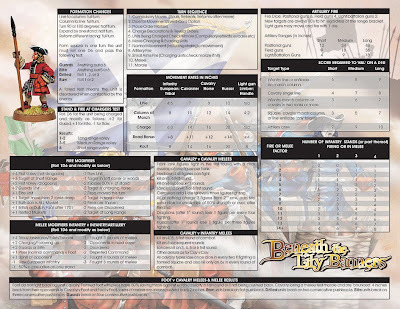 Most of the core rules are the same and it's a great way to try BLB at a reduced price. 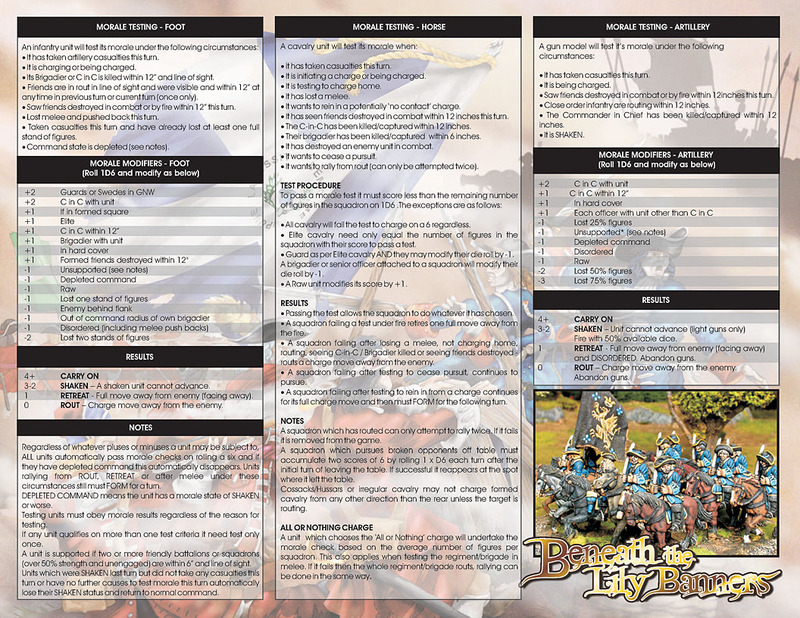 Something that has not been available on PDF was the Quick Play Sheet... until now!